“I have your MRI results,” said Dr. Price, my rheumatologist. I was in the midst of a strategic planning meeting at the office, but I quickly stepped out into the hall to take the call in private. Although I had been having back pain for the last three weeks, I wasn’t concerned. A recent bone density scan revealed I had the spine of a 20-year-old, which left me completely unprepared for what followed. Practically, that meant no more horseback riding—one of the few remaining and greatest joys of my life. I felt like someone had just punched me in the stomach. If I knew anything from dealing with past losses, it was this—recovery would be a process. Recovery from loss is like having to get off the main highway every so many miles because the direct route is under reconstruction. The road signs reroute you through little towns you hadn’t expected to visit and over bumpy roads you hadn’t wanted to bounce around on. You are basically traveling in the appropriate direction. One the map, however, the course you are following has the look of shark’s teeth instead of a straight line. Although you are gradually getting there, you sometimes doubt that you will ever meet up with the finished highway. I’ve walked through this process probably hundreds of times; and if you’re living with chronic illness, you probably have too. While it never gets easier, there are things that you can do to move through the recovery process in a healthy way. Say goodbye. We must recognize our loss and acknowledge that life will be different going forward. Failure to acknowledge our losses can lead to grief that is complicated by adjustment disorders, including major depression, post-traumatic stress disorder, substance abuse, and more. Sure it hurts when we lose something we love, but it can also be a catalyst for spiritual and emotional growth. As hard as it was, I have symbolically packed up my riding boots for good, although I still love watching the horses graze in rolling country fields. Horses continue to be part of the landscape of my life—just in a different way. Choose well. We have a choice in our recovery. The changes brought about by our loss can be either positive or negative. We who lived in concentration camps can remember the men who walked through the huts comforting others, giving away their last piece of bread. They may have been few in number, but they offer sufficient proof that everything can be taken from a man but one thing: the last of the human freedoms—to choose one\’s attitude in any given set of circumstances, to choose one\’s own way. We can choose to become bitter about our losses, or we can choose to become better despite them. We can choose to focus on what we can’t do, or we can look for new opportunities to the use the gifts and abilities that remain. Even when dreams die, we can choose to move toward life. New interests, friendships, and projects can breathe life into our weary souls. So, choose well. Reinvest in new dreams and relationships. After you’ve given yourself sufficient time to grieve, reinvest in new projects and relationships. I’ve been thinking about refreshing my writer’s website for some time, but I kept putting it on the back burner. Now that I’ve had some time and finances free up, I’ve contracted a web design firm to give my site a facelift. And I’ve recently heard from a publisher looking for a writer for a new book. She asked me to submit some samples to help her determine if I’m the right writer for the project. I’ll know something by the end of the month. Even if I don’t get the job, I’ve begun to dream about new possibilities and platforms for my writing. That alone is a gift. Plan ahead to prepare for transition and loss. Life with chronic illness is a series of losses. And while we can never fully anticipate all that lies ahead, life is full of predictable transitions. Take charge of the potential loss in advance so you can continue on with life. I live with rheumatoid arthritis, an autoimmune disease marked by pain, inflammation, and limited mobility. Early in the disease, I changed career course, stepping down from a high-stress job that required travel and moving to a job with fewer hours and greater flexibility. I’ve adjusted my lifestyle and my home so the years ahead will be easier as my disease progresses. Loss is an inevitable part of life. But whether we profit from it or it crushes us depends on our response to life’s circumstances. Mary J. Yerkes is a professional life coach who provides transformational coaching to the chronically ill, women in leadership, and new and aspiring non-fiction writers. She helps motivated individuals, groups, and organizations find their purpose and live their passion. With more than 25 years’ experience in the corporate world and church leadership, Mary launched her writing, speaking, and coaching career after being diagnosed with multiple chronic illnesses, including rheumatoid arthritis and ankylosing spondylitis. She is passionate about helping others from all walks of life live life to the full. She is currently working on a book, When Life Hurts: Ten Transforming Choices Every Woman Can Make. Mary is a member of the Christian Coaches Network, the International Coach Federation, and the International Association of Business Communicators, as well as other professional networks. You can visit Mary online at NewLifeChristianCoaching.com and MaryYerkes.com. Mary J. Yerkes is a professional life coach who provides transformational coaching to the chronically ill, women in leadership, and new and aspiring non-fiction writers. She helps motivated individuals, groups, and organizations find their purpose and live their passion. With more than 25 years' experience in the corporate world and church leadership, Mary launched her writing, speaking, and coaching career after being diagnosed with multiple chronic illnesses, including rheumatoid arthritis and ankylosing spondylitis. She is passionate about helping others from all walks of life live life to the full. She is currently working on a book, When Life Hurts: Ten Transforming Choices Every Woman Can Make. 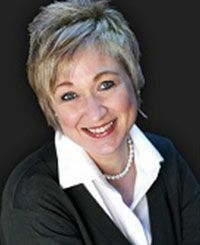 Mary is a member of the Christian Coaches Network, the International Coach Federation, and the International Association of Business Communicators, as well as other professional networks. You can visit Mary online at www.NewLifeChristianCoaching.com and www.MaryYerkes.com.